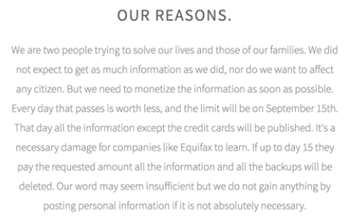 Equifax has its hands full in terms of more legitimate fall-out from the breach. It reversed an earlier decision that forbid customers from joining a class action lawsuit in exchange for receiving a free year of credit monitoring after backlash from the National Consumers League and lawmakers in Washington, who are already calling for hearings. The company has also faced negative repercussions for the shoddy set up of a website for affected customers that some contend looks like a scam; not to mention three executives who sold $1.8 million in shares just a few days after breach was discovered. September 13 (Wednesday) 1:30 ET. “How Data Democratization Drives Enterprise-wide Clinical Process Improvement.” Sponsored by: LogicStream Health. Presenter: Katy Jones, program director of clinical support, Providence Health & Services. Providence is demonstrating positive measurable results in quality, outcomes, and efficiency by implementing clinical process improvement solutions in arming operational and clinical stakeholders with unlocked EHR data. Providence’s army of process engineers use their self-service access to answer questions immediately and gain an understanding of how their clinical care delivery is impacting outcomes. The presenter will describe practical applications that include antibiotic stewardship, hospital-acquired infections, and comprehensive knowledge management. Former CDC Director Tom Frieden, MD raises $225 million to launch a global health initiative that will tackle cardiovascular disease and epidemics. Backed by Bloomberg Philanthropies, the Chan Zuckerberg Initiative, and the Bill & Melinda Gates Foundation, Resolve will aim to save 100 million lives over the next 30 years. 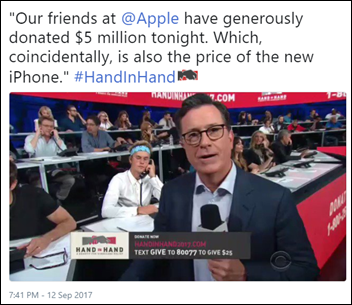 Apple unveils its latest and greatest devices, including the iPhone 8, Apple Watch with wireless connectivity, and the iPhone X, which commemorates the company’s 10th launch of the phone and, at $1,000, its highest price point. The product updates follow on the heels of rumors (now confirmed) that the company is working with American Well and Stanford University to test the ability of the watch’s heart rate sensor to detect heart conditions. 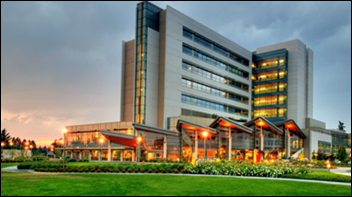 Englewood Hospital and Medical Center (NJ) appoints Ravi Koganti (New York-Presbyterian Hospital) CIO and VP of IT. Orchestrate Healthcare hires Ed Ricks (Beaufort Memorial Hospital) as VP of the Southeast. Dave Rodger (Spotify) joins PatientPing as head of product. University of Illinois officials agree to spend $62 million to implement Epic at UI Hospital in Chicago. 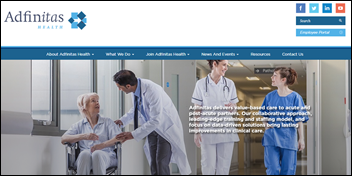 Hospitalist group Adfinitas Health (MD) selects Continuum Health as its RCM partner ahead of a planned expansion beyond its Mid-Atlantic region of operation. HealtheConnections opts for data cleansing, quality analysis, and reporting tools from Diameter Health for its HIE participants across Central New York. Magnolia Regional Health Center (MS) integrates Nuance’s Dragon Medical One speech-recognition and CAPD technology with its Meditech EHR. In an effort to better coordinate care between local EMS services and its ED, PeaceHealth Southwest Medical Center (WA) implements Pulsara’s PreHospital Alerting Package. Medical Information Records USA adds automated vital sign documentation from Neximatic to its cloud-based anesthesia information management system. Health Secretary Jeremy Hunt pledges to make app-based NHS medical record access, appointment scheduling, and prescription refills available to every patient in England by the end of 2018. The digital health initiative is part of the broader $5.6 billion 2020 program announced last year. Pilot programs of the new tools are already underway. Thus far, the digital efforts of NHS don’t seem to include getting rid of the 130,000 pages it uses to the tune of nearly $8 million in costs each year. The Guardian reports that replacing the devices could save the system $3.5 million annually. 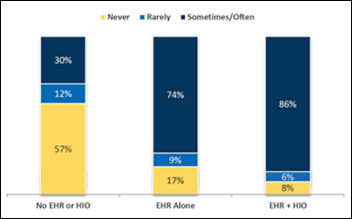 An ONC report on interoperability at skilled nursing facilities finds that 64 percent use EHRs, and 62 percent have interoperable networks in place that ensures electronic information is available from outside sources. 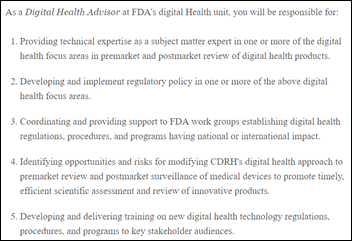 Job seekers have until September 18 to submit their applications for Digital Health Advisor with the FDA’s Center for Devices and Radiological Health. HHS deploys its first team of federal responders to the Florida Keys, where it will establish a mobile medical unit and assist local providers with healthcare services. Local emergency officials estimate that at least 10,000 residents stayed on the islands during Category 4 Hurricane Irma. 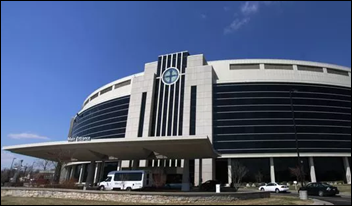 CMS threatens to end Medicare and Medicaid funding for Mercy Hospital Springfield (MO) after reports surface of a male nurse punching and tackling a combative patient, and of a female patient being held in seclusion – an area the hospital dubbed an “acute-care area” – for 15 days. A CMS investigation into patient safety practices at the hospital earlier this year found that it failed to follow up on patient grievances and to report abuse. The hospital recently fired 12 employees after their behavior in “highly tense situations” became a cause for concern. It is also bringing in an interim leadership team from other Mercy facilities. 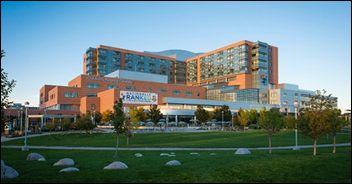 Children’s Hospital Colorado reports that a hacker has gained access to an employee email, resulting in the unauthorized exposure of the PHI of 3,400 patients. The unauthorized access did not affect patient health data. In a savvy marketing move, the hospital re-publicizes findings from a study earlier this year that show documentation in its Epic EHR has helped it achieve a 30-percent reduction in harm for HACs over the last five years. A JAMIA analysis of online consumer ratings of 78 physicians finds no association between a physician’s average consumer score and their specialty-specific quality scores or value-based care. Aprima will exhibit at the American Academy of Pediatrics National Conference & Exhibition September 16-18 in Chicago. The Tampa Bay Business Journal includes AssesURHealth’s Tori Couch in its Up & Comers class of 2017. Cumberland Consulting Group will exhibit at the Healthcare Executive Group Annual Forum September 18-20 in Nashville. Dimensional Insight will exhibit at the 2017 Women’s Leadership Council Conference September 14-15 in Washington, DC. ECG Management Consultants and Intelligent Medical Objects will present at the 2017 IHA Leadership Summit September 13 in Lombard, IL. Elsevier Senior Architect of Clinical Solutions Tyler Lynch showcases students building a tool to simplify prescription scheduling at MedHacks17. EClinicalWorks will exhibit at AAP 2017 September 16-18 in Chicago. 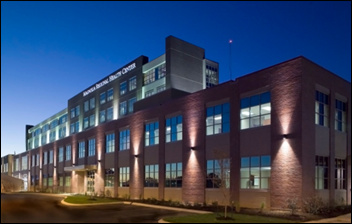 FormFast publishes a new case study featuring Duncan Regional Hospital. HCS will exhibit at the NALTH 2017 Fall Leadership Conference September 14-15 in Washington, DC. Impact Advisors will present on MIPS and MACRA as part of the Scottsdale Institute Teleconference September 19. EClinicalWorks publishes new case studies featuring CityMD and EssenMED House Calls. PatientPing releases a new video on coordinating patient care. This is really ridiculous and I’d so much appreciate any guidance from those of you who are more of an IT-wonk than I am. Do we sign up to enroll in Equifax’s supposed Credit Protection? Why should I trust them now? Should I spend $10 to freeze credit at each of 3 agencies (Equifax, Transunion, Experian) and then another $10 each when/if I need to unfreeze it? What is the effect if I do freeze credit and then I actually need to have it checked? And, finally, what is the latest on the 23 (?) 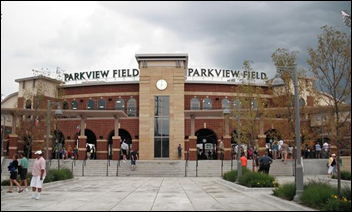 class action lawsuits filed? Should I join one? or 23? Please advise. Thanks! Equifax embody both 1) in breach 2) initial attempts to financially / legally benefit firm by screwing 150+M people they just harmed via hidden fees and legalese in remedy offer. Many HCOs use Equifax credit reports but expanded solutions could enable RCM and EHR (hacker goldmine) data access. In time, will CIOs forgive and buy HIT from Equifax as many do with other vendors with known prior data breaches? 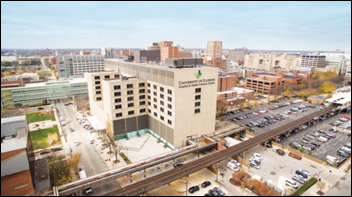 University of Illinois-Chicago hospital – wasn’t that a showcase site for another vendor previously? They have been a Cerner customer for close to 20 years but this has been years in the making. To put it frankly, their current build is not very good (I have worked on it several times) and I can honestly say, it was mostly self inflicted. It will be very interesting to see EPIC in there, as UIC has always believed “They know best”, but as many of us know in the industry, that mentality doesn’t really fly with and EPIC implementation. Only time will tell if this move will work. Their Cerner domain was so customized, there was no way it was going to survive it its current state, especially being hosted on prem. They will have to let up a lot of “control” which they have never done before. Wasn’t UIC an early TDS MIS client? If so, did they try to replicate MIS on Millennium? (common with replacements). 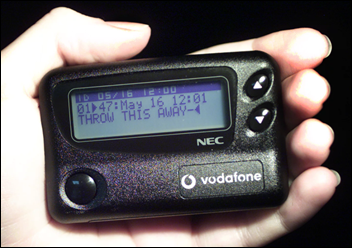 MIS became obsolete but was more integrated, flexible and user friendly than Cerner then. Many Cerner and Epic replacements of MIS struggled. Has anyone analyzed and reported how clients replacing Epic with Cerner, and visa versa, have fared compared to expectations? Was Millennium ever widely embraced by UIC clinician users? Do execs hope Epic can tame the wild beast, as they did with UCSF et. al. (varying results). Yes, time will tell. Access to GP appointment scheduling and e-prescription has been available in a number of NHS areas for sometime (though not in a specific app apart from pilot regions). Primary care adoption was one of the few success stories from the expensive, failed NHS NPfIT initiative. The statement that patients will be able to access their “full medical records” by 2018 is complete farce though, especially when you consider that Mr Hunt is also targeting a “paperless” NHS by 2020/2021 (a target pushed back recently from 2018 and still remains very much in flux). The two targets do not add up and show the disarray and disjointed UK marketplace for healthcare IT today. Instead expect at best an app that will provide basic GP scheduling and e-prescription. Not new content or full records, just a different UI. “Papering over the cracks” at its finest.